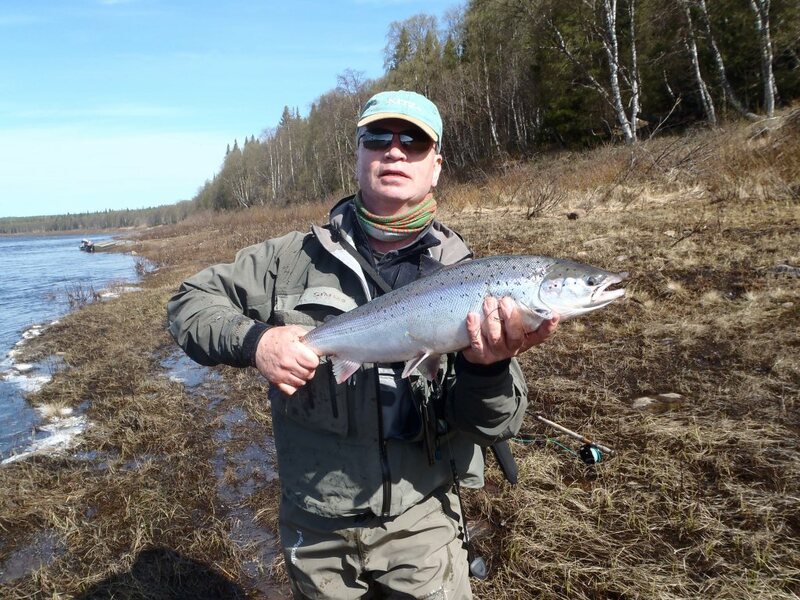 There have been times in the past when I have got very frustrated with the camp manager at Middle Varzuga. Every morning and evening, at an agreed time, we radio each other to ensure that everything is going well and to find out about the days fishing. Not unnaturally, one of the key points is to find out how many fish have been caught that day. Very often the manager at Middle will tell me he doesn’t know, is not sure or that he hasn’t spoken to everyone which can be quite frustrating. I now take it all back. The team here are fishing every hour that they can and keeping track of where everyone is and what they have caught is almost impossible. However, after finally rounding them all up we deduced that the 10 rods had landed 124 fish in the day. Personal bests were being broken on what felt like an hourly basis but in the end Graham J was the top rod with 21, Craig C landed 20, Marc W had 19 and various others reached double figures for the first time. 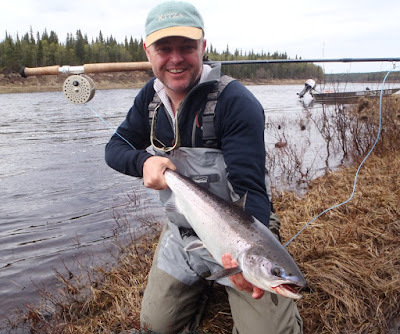 We landed fish up and down the river but our bottom beats are still the most productive. We are now fishing with intermediate tips, half inch tubes and at times, size 6 flies. Next week will probably see us switching entirely to floating lines and fly sizes will decrease but as ever, we are in the far north and making any firm predictions about what next week will hold is not always the best policy. Kitza had another 22 fish for their day with Craig P landing a beautiful fish of around 15lbs from Sashas. They decided to explore the upper river a bit more yesterday which was a great success. They knew that there were probably more fish below the camp but were prepared to forego the extra numbers to fish in such a stunning place. 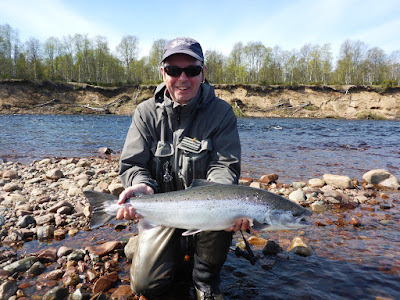 Middle Varzuga finished with 69 in the book which is without doubt a great days fishing but was a bit slower than we might expect given what we landed here. 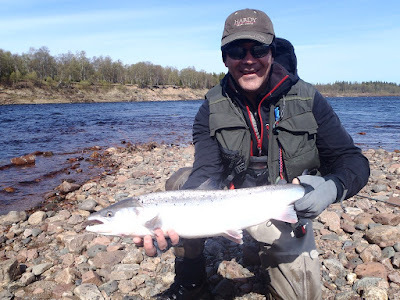 Theories abound as you can imagine and it is simply a matter of time before the main run hits that camp but in the meantime there is a certain swagger to the guides at Lower knowing that they are outfishing what is normally the most productive camp. This morning has seen a complete change in the weather and it is currently pouring with rain. The least bothered about that is probably our 80 year old veteran, Douglas B, who found that he was awake at 5am. Deciding that he just as well fish as stare at the ceiling he landed 5 fish before breakfast and has given us all the lead for the day.